There was certainly a feeling of Christmas spirit when the South Coast Taipans welcomed the Enfield Rovers for Round 8 of the SELECT Futsal Premier League. The Taipans’ AWD side was at home on the same weekend coinciding with the Mens clash but sadly their match was postponed. The South Coast side however ensured that their AWD side were put through their paces and as well as valuing the effort and support of these young men and their families put into the club – the Taipans scheduled a coaches team (combination of Enfield/South Coast coaches) to take on the inform and undefeated South Coast Taipans AWD team. The Coaches team also had a special guest player in the one and only Santa Clause. He was on hand earlier in the day meeting the kids from both clubs and handing out lollies. In a closely contested match, the Taipans AWD team proved too slick for the coaches running out 7-4 winners although the real winner here was futsal. South Coast Taipans Technical Director Bobby Mazevski echoed his thoughts to Football NSW on what was a special day for all involved. “These guys are an inspiration to all other players battling through their own personal challenges. “They show great team spirit and I can see firsthand why other teams struggle to cope with their game. “Our club has done a great job throwing in a Christmas theme each year culminating in a visit from Father Christmas as well. “The kids (and some parents) really get into it”.  Football NSW has officially released the 2017 PlayStation4 National Premier Leagues NSW Men’s competition draw for the new season kicking off on Saturday March 11 across twenty-two rounds with twelve clubs ready to battle it out for total supremacy. NSW is heavily renowned for having the most competitive competition across all National Premier Leagues in Australia as a number of mouth-watering first round fixtures have been announced in what will be a memorable 2017 season. New faces will grace new clubs in season 2017 while experienced campaigners will once again steer various ships across the twelve clubs in their push for success. Official signings are currently taking place with Football NSW to release the official new recruits early next year. Three matches have been set for Saturday evening as the new boys on the block Sydney FC, freshly promoted from the PS4 NPL NSW Men’s 2 competition, tackle the always tricky Rockdale City Suns at Lambert Park. Robbie Stanton’s young squad will be one to watch out for but they will be tested by the Suns with Player Manager Paul Reid pulling the strings against his former club. The Suns will unearth a couple of its new signings with the likes of Harris Gaitatzis and Jordan Figon joining an already impressive group of players that includes Blake Ricciuto, Alex Canak, Trent McClenahan and Daniel Petkovski to name a few. At the Bonnyrigg Sports Club, the White Eagles face a new look Sydney Olympic side led by its new Portuguese manager Jamie Monroy Zamith. The White Eagles will once again be coached by the experienced Brian Brown and will hope that a couple of new faces in defenders Zac Mackenzie from the Wollongong Wolves and Milan Susak, who returns after spending some time in Asia, will help strengthen the squad’s backline. The Blues will look towards giving a few young former Under 20s players a crack at the first team as the core of the squad has been signed on from the 2016 season. The club has hinted in securing at least three players before finalising its squad for the new year but the likes of Costa Andricopoulos, Max Burgess, Peter Makrillos and Yianni Spyrakis look to have agreed to terms with the Blues. Seymour Shaw will be the final Saturday evening match as Carlos Villazon’s Sutherland Sharks entertain Manly United in what promises to be a huge match. Villazon will once again bank on the club’s youth policy with a number of keen and promising youngsters ready to taste first grade football however the club has snapped up former favourite son Nathan Elasi while Manly United will be the club to beat judging from its recent acquisitions. Paul Dee has managed to secure the likes of Sasa Macura from Blacktown City, Dylan Macallister from the Rockdale City Suns and Nikola Taneski from Sydney United 58 to name a few joining already a pretty extensive list of Premier League stars at the Northern Beaches. Sunday will see 2016 Champions Blacktown City travel to Pagewood as they tackle Hakoah Sydney City East FC who will be managed by a new coach in former Scottish international Gavin Rae. Mark Crittenden will sport a new look line-up for 2017 as they will have to manage without the services of Sasa Macura, Travis Major, Patrick Antelmi and Nenad Vekic but they have snapped up former City star Ken Chun. One things for sure, Crittenden and co really know how to bring out the best in what they have so count them out at your peril. As for Hakoah Sydney City East, they will sport a fairly new squad with the Green brothers Oliver and Jack joining the fold as well as former Sydney FC keeper Anthony Bouzanis. Parramatta FC will look towards starting the year on the right foot as they take on the Wollongong Wolves at Melita Stadium. Franco Cosentino, one of the most likeable coaches in the league, will have a few fresh faces in Hayden Morton and Jordan Crighton from the Blacktown Spartans to name a few. Wolves coach Jacob Timpano is hoping the prized signing of Patrick Antelmi from Blacktown City will help spark the South Coast based club’s chances of making the finals series for 2017. Finally, the last match to conclude Round 1 will be a blockbuster clash as 2016 Premiers and NPL Champions Sydney United 58 take on APIA Leichhardt Tigers at the Sydney United Sports Centre. It will be the first match without coach Mark Rudan as the club’s Under 20 coach and former Croatian star Davor Bajsic takes over as the top man at the Reds. The club may have lost Peter Triantis and Theo Kofinas to name a few but have managed to recruit one of the form players of the league in Nick Olsen from the APIA Leichhardt Tigers as well as the return of Ante Tomic, Petar Markovic and Anthony Tomelic. As for the Tigers, Danial Cummins will once again assume the position as the head coach of the club and will have the services of Fijian international Alvin Singh at his disposal as well as former Parramatta FC skipper Josh Symons (who joins brother Sean) and keeper Luke Turnbull and Mounties Wanderers’ Matthew West. Heritage Round will feature again in 2017, celebrating the rich history of the competition, and will take place across Round 12. The Finals Series for 2017 will commence on the 20th of August while the Grand Final has been scheduled for Sunday 10th of September. With a number of quality players currently plying their trade in the PS4 National Premier Leagues NSW Men’s competition with a sprinkling of fresh young talent coming through the system combined with the release of the Westfield FFA Cup for 2017, the new year promises to be the most competitive yet. Along with the players, referees developing towards the top stage will also be on show in the PS4 NPL NSW Men’s competition with the likes of leading Hyundai A-League referees Kris Griffiths-Jones, Kurt Ams and Stephen Lucas as well as Westfield W-League’s Kelly Jones and Katie-Louise Patterson leading the charge while the continual improvement of coaches will again be on the radar as the likes of Paul Reid, Robbie Stanton, Jacob Timpano, Paul Dee, Mark Crittenden and co continue their climb to coaching in the top tier competition of Australian football. *All other competition draws from other state league competitions will be out early next year. Sydney Olympic will kick off the 2017 season with a new man in charge with the historic Australian club appointing Portuguese born Jamie Monroy Zamith as the First Team coach and Technical Director. Zamith takes over Grant Lee after three and a half years at the top, who has since been appointed as the club’s Football Director and will take a hands on technical leadership focus with the club’s women’s program and will work closely in other areas with the mindset of enhancing the Blues’ football program. Zamith comes with some experience overseas having been part of coaching setups at FC Barcelona, A.D. Alcorcon, FC Baku and Boavista to name a few. The Portuguese mentor has been busily preparing the squad during the pre-season and will hope he can instil that winning mentality back into the club as well as setting the technical philosophy and direction in moving the Blues forward. Recently appointed Club Chief Executive Officer John Boulous highlighted in his update to the members, a number of key initiatives for the new season as the club looks set for a new and exciting era. “Having been in the position for just nearly two months, I have had an opportunity to meet with many of our stakeholders and it is great to see much excitement and enthusiasm ahead of the 2017 season. “As a club we have a lot to do in order to achieve our goals, this cannot be done alone and by working together I am confident a very successful 2017 and beyond on and off the field awaits. “Everyone can play their part and I look forward to leading this process in the weeks and months to come. “We are committed to building a stronger future for our Club and its members both on and off the field. Our club shares a strong tradition, with many people contributing to this since 1957. Our challenge now is to create an environment of excellence providing an opportunity for our club, players and coaches to reach their maximum potential. • Conducted its Legends match at Belmore Oval and End of Season Function. • Appointed Technical Director and coaching staff to conduct our football program. • Conducted Skill Acquisition Program, Youth and Senior male and female trials. • Undertook clothing fittings for all players in all squads for the 2017 season. • Undertook Female and Male Squad Information and coach sessions, detailing the club’s technical philosophy and football program. • Officially commenced pre-season training and friendly matches. • Had our Under 11 squad tour Germany and Poland to compete in the Legia Cup. • Conducted the Club’s Annual General Meeting on Wednesday 30 November 2016. “The key strategic priority for the club is to improve our facilities to be able to expand our football program offerings. In the coming weeks we have meetings scheduled to progress opportunities for facility enhancement and development at both Peter Moore Field and at Tempe Park. We will keep you updated as things progress, but we are hopeful of being able to report some positive developments in the near future. “From a football program perspective our focus remains on youth development and with this a focus on producing the best player’s possible at all levels of our pathway. Through this we are confident players that are developing in our SAP and Youth programs will be aspiring to play male and female Senior football at our club in the years to come. “In regards our Women’s program, we remain focused on ensuring our Club is giving ourselves the best chance for promotion into the PS4 NPL NSW Women’s top tier Competition. We have this year increased resources in this area to help achieve this focus, with a large focus of Grant Lee’s role being to support our coaches and squads.